Toys for 2 year olds should be colourful and engaging, hard wearing, and designed to stimulate their imagination and creativity. 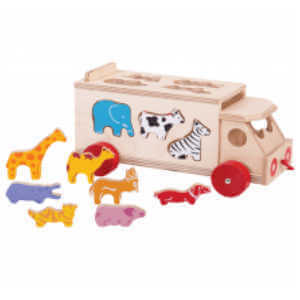 We have a great range of wooden toys for toddlers, educational toys for two-year-olds, soft toys, dolls, puzzles and musical instruments that will provide for all their educational and developmental needs through play. As our babies grow into toddlers we as parents want to find the best toys to engage their imaginations and develop key skills through play. Constantly learning their minds are like sponges, with every game and every challenge teaching them new skills or helping them refine and develop existing ones. A two year olds vocabulary is growing rapidly and they are excited to learn, identifying colours, numbers, shapes and animals as they play. A two year olds fine motor skills and coordination are improving, as is their ability to solve simple problems, making puzzles, building blocks and sorting games popular. Their creativity and imagination are boundless. Encourage this with role-play toys that allow for open-ended pretend play. 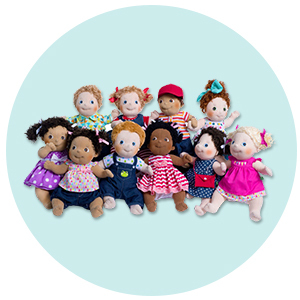 There are so many great toys available for this age that you might understandably feel overwhelmed or spoilt for choice, especially if you are looking at buying gifts for a 2 year old. Search best toys for two-year-olds online and you get a plethora of lists. Many of which contain a large proportion of plastic toys from the likes of little tykes or leapfrog that might offer plenty of fun and learning in the short term but do not offer the sustainability, beauty or opportunity for open-ended creative play that you get with more traditional wooden toys. 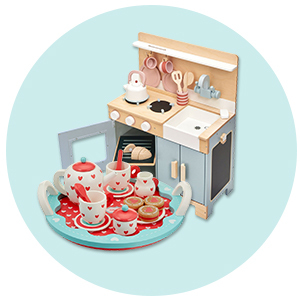 With that in mind, we have come up with a list of some of our favourite toys, or types of toys for two-year-olds. Toys and gifts that are age appropriate will nurture and develop key skills and learning, and in many cases can be built upon in ways that will mean they grow with your child and last for years to come. Cultivate a love of music at an early age with any one of our great range of musical toys. For a 2-year-old playing with musical toys will encourage auditory exploration and pattern recognition as well as hand-eye coordination. Plus the fact that almost all two-year-olds olds love to make noise and dance. 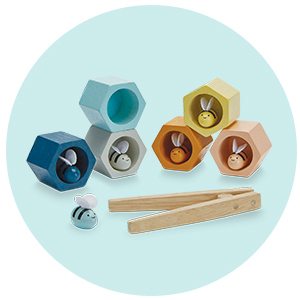 The Just B range is fabulous if you are looking for something that offers lights and sounds, or we love Sevi, Plan Toys and Djeco for more traditional wooden instruments. So we think that Tegu really starts to come into its own at this age. Toddlers will be fascinated by the way the magnets work and love the fact that they can build different shapes and structures to the ones they would manage with simple building blocks. 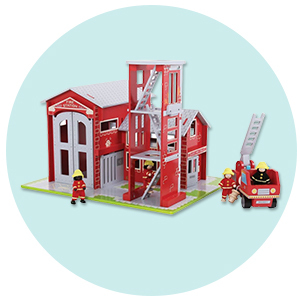 Plus there are so many sets to choose from that you can easily start small and build your collection over time. If you aren't sure where to start the travel pouches are a lovely introduction to the range and perfect for keeping in your handbag. 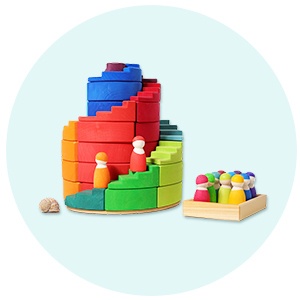 Other building block sets also make great open-ended toys that will be used for years in different ways as children develop their imagination and creativity. 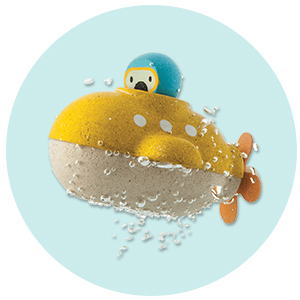 Ride on toys and active toys like the Wobbel will certainly get a thumbs up from toddlers who will use just about anything as a climbing frame. A Wobble board is a fantastic toy for all ages and is definitely one that will grow with your child. They foster the development of core strength, stability and balance which are incredibly important in little growing bodies. Plus they offer so many opportunities for play. A wobble is a slide, a bridge, a mountain, a boat a skateboard, an ocean, a bed, a chair, a step and so much more. A train set is a classic toy that has been loved for literally generations. Chances are you had or played with one as a child, and for many children and up playing with their parent's trains, or a set handed down from cousins or siblings. Trains and cars seem to be ever popular with toddlers and they are perfect for encouraging lots of key skills. Building the track might be tricky at first but as children watch and learn they will develop problem-solving skills, hand-eye coordination, and fine motor skills. Once the track is set up the opportunities for creative play, narrative thought, building vocabulary and small world play are endless. Especially with all the fabulous accessories to choose from. We also love the way to play sets. These flexible roads can be used pretty much anywhere, perfect for both indoor and outdoor play. and they can be used with any cars or wheelie toys your child already has. All the sets work together so this is another great toy to start collecting now and build on over the years. Providing they are age appropriate puzzles are wonderful at any age. They help with concentration and focus, boost fine motor skills and develop problem-solving ability. 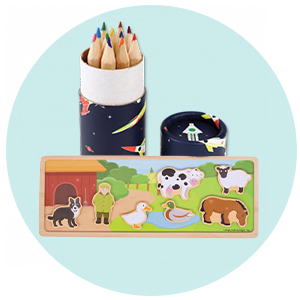 Our great range of puzzles comes in many forms from traditional jigsaw puzzles (the Djeco range are particularly stunning), to educational puzzles, to an amazing range of Grimm's creative puzzles which can be completed in a variety of ways and double as beautiful building blocks for even greater play potential. Threading games could also come under this category as they are a great way for 2-year-olds to develop fine-motor and concentration skills. By the age of two, and certainly, before they hit three, children start to develop a love of role play games. They imitate the world around them and come up with all sorts of imaginative scenarios. Which is why we think all two-year-olds should have access to role-play toys of some description. 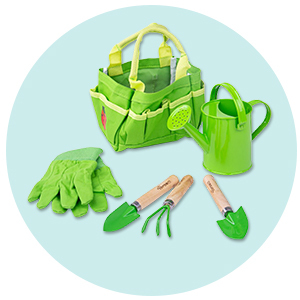 A toolkit, tool belt or workbench for making and fixing things around the house. Or even just some great fancy dress items. 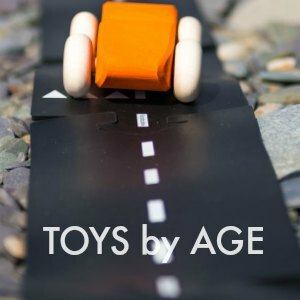 If you are buying for a two-year-old it might be worth looking at some of the toys for 3y+ as a lot of these would be suitable for the 2-3year age range under appropriate adult supervision. Enjoy exploring our amazing range of natural wooden toys for kids and don't hesitate to get in touch if you have any questions. We love to chat about toys! Toys for 2 year olds Gifts for 2 year olds Toys for two year olds Gifts for two year olds You can find the Best Toys for 2 Year Olds in our page!